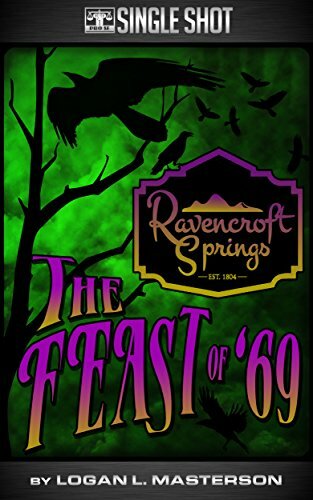 From Logan L. Masterson, author of Ravencroft Springs, comes a tale of lost souls and dark discovery, set in Masterson's strange Appalachian locale, Pro Se Productions presents as a Pro Se Single Shot Masterson's Ravencroft Springs: The Feast of '69. No one believed the summer of love could last forever, not really. Hippies danced in the streets, slept in the parks, hit the road on a whim, but when two star-crossed lovers find themselves in the forgotten hill country town known as Ravencroft Springs, winter has come. What fate awaits the American folk band Feast of Love? Come on down the foggy, forgotten road and learn for yourself in Ravencroft Springs: The Feast of ‘69, a Pro Se Single Shot by Logan L. Masterson.